Hand-crafted in polished stainless steel, the Julien Console Table by Eichholtz will add a luxurious touch to a hallway or living space. 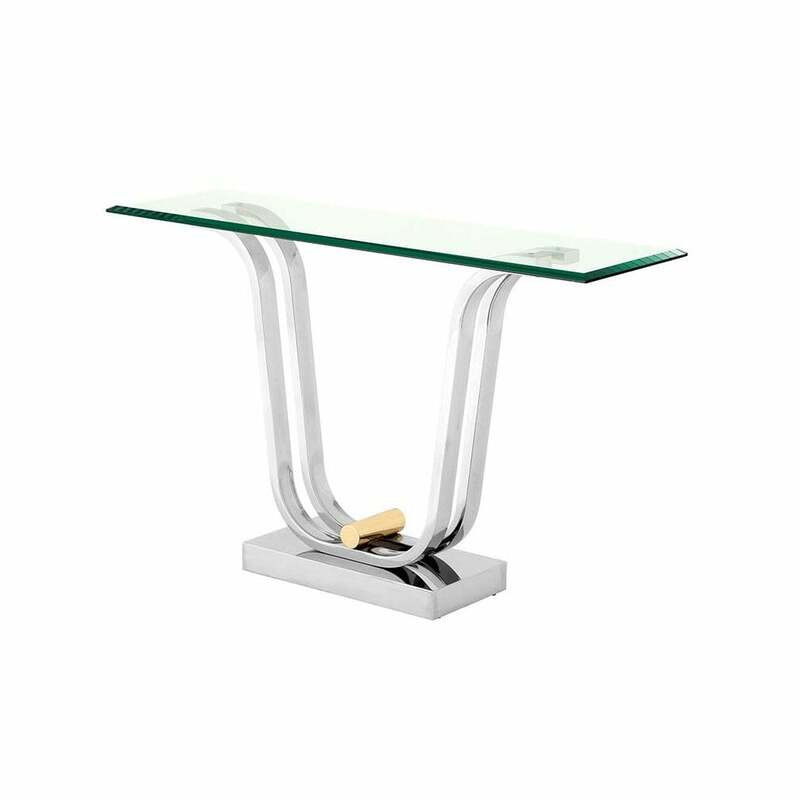 A statement design, the accentuated curves and solid form is complemented by a bevelled glass table top and a solid rectangular base. Finished with a cylindrical brass detail, use flowers, decorative vases and your favourite design books to create a personalised table top display. Perfect in a mimalistic apartment, this console table will add drama to a clean, white space. Make an enquiry for more information.